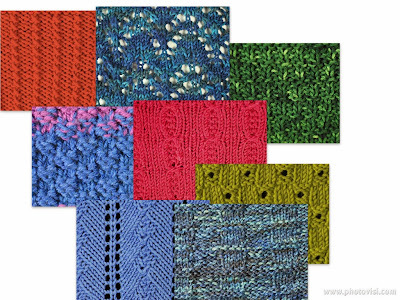 How do designers choose the yarn that they design with? This is a mystery to knitters, however often there is a clear path to the choice from the designers perspective. It often comes down to the original motivation. Do you want to sell yarn or do you want to sell patterns? To the knitter it doesn't matter, but in the industry, we have yarn companies, distributors, retailers, both brick and mortar and online as well as indie dyers. If the design is commissioned by a yarn seller the focus is often on developing a small project that will sell well at shows and it will target the budget conscious buyer to maximize sales. In this situation. The designer is commissioned by the yarn seller or works directly for them to produce designs for their yarn. If you want to sell patterns the motivation is very different. Fibre preference can be a factor depending on what a designer wants to work with. The design premise may require features specific to certain yarns. As an example the silhouette may work best with a yarn that creates a fabric with drape or it may need a yarn with good memory. The target customer demographics are also a consideration. Is the design one that knitters will want to make for children or is it one that will appeal to knitters who work mainly with hand dyed yarn? Some designers do work from an idea and then choose yarn that is determined by the inspiration. They may be limited to specific yarns if a colour is not widely available. Other designers are given yarn by companies hoping a well known knitter will publish something with their yarn. The designer then looks for a successful way to utilize that yarn using the amount they were provided with. A designer may have yarn support from a specific company so using their yarn allows the designer to save on the cost of yarn. Yarn shops may have one of two perspectives on patterns, they want to sell yarn so they want patterns for yarns that they stock. That may mean patterns for specific yarns or it may mean generic patterns in standard yarn weights that are non-specific as to a yarn brand. They may find more sales success with patterns listing yarn requirements only by gauge or weight and not by brand.